Due to our many salmon streams and lakes, as well as numerous mountain ranges, we have an abundance of bear in our approx. 5000 square miles of territory. These bears are hunted either in spring or fall because of the diversity of terrain in this territory. Our spring bear hunting season runs from mid April through to mid June. The Spring Grizzly season parallels our Black Bear season, which provides excellent opportunity for a guided combination Grizzly/Black Bear hunt. We also hunt grizzly in the fall on salmon streams and berry patches. 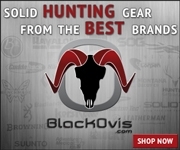 The fall hunt is great to combo with moose, goat or caribou. Our black bear hunting areas contain many miles of logging roads and clear cuts. Our hunters have an excellent chance of success and are likely to see many black bears during the course of their guided hunt. Many a trophy black bear have been taken from this area. 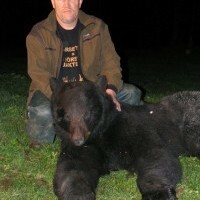 Hunters can harvest 2 black bear per year.